Homage to getting air bourne-and space rock? printed on Earth positive fitted t shirts-same as american apparel. New 60's style ouija board graphic from Bicycle Union....wake the dead!! Love hate t shirt cool graphic printed on Earth positive fitted t shirts-same as american apparel . Built for speed! 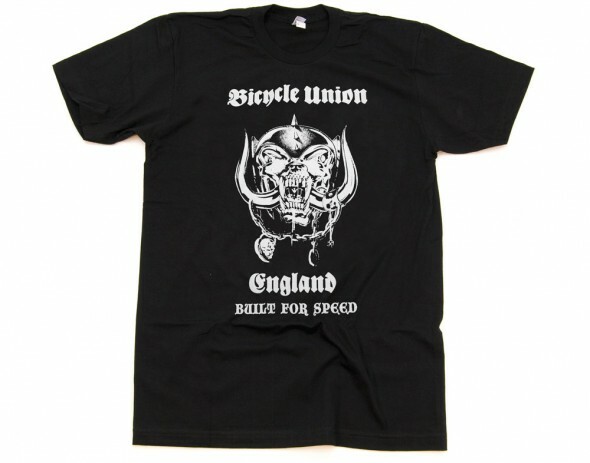 If only everything was as cool as Motorhead, perfect bike riding music. "They Live" t shirt after years of making this as a sticker we finally made it in to a shirt-homage to the cult john carpenter movie, if you havent seen the movie you should!